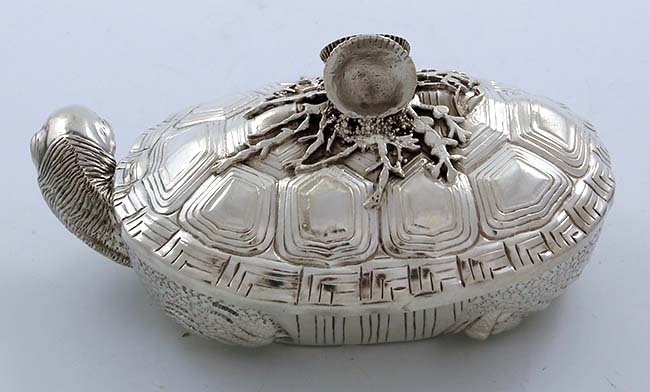 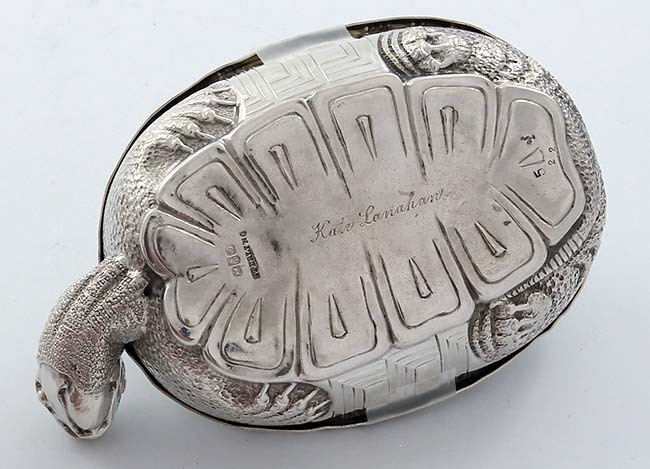 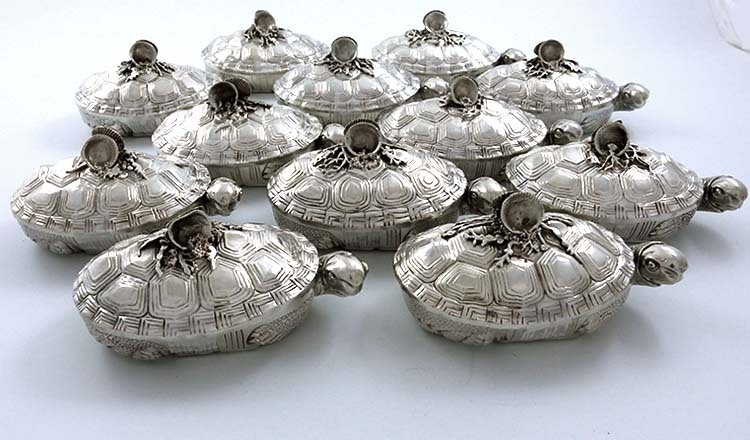 An extremely rare set of twelve antique sterling silver Gorham individual terrapin soup tureens with pull off lids and twin shell finials on the lids. 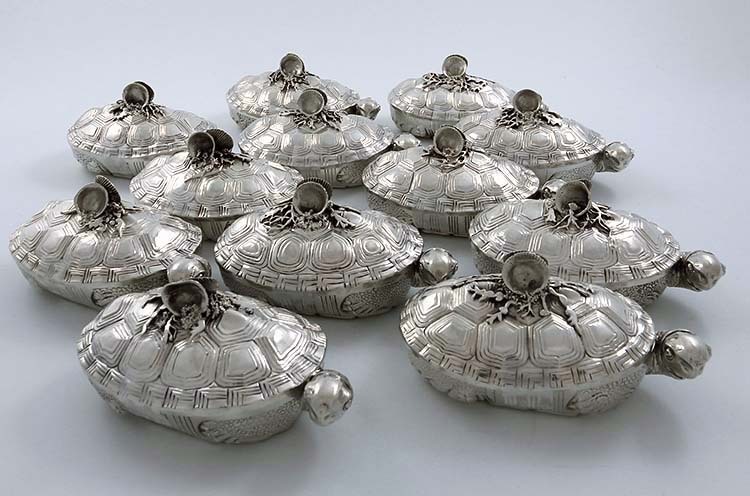 The shell handles are mounted on cast applied seaweed and sea sand. 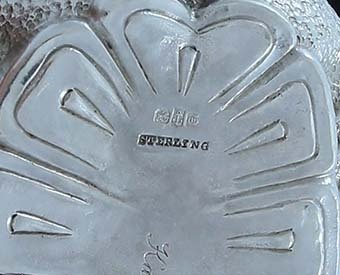 Marked with the Gorham logo and sterling together with the date symbol for 1890. 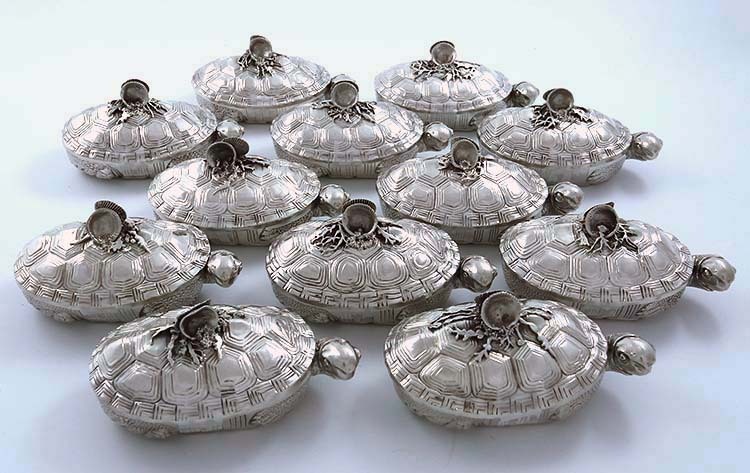 Gilted interiors. 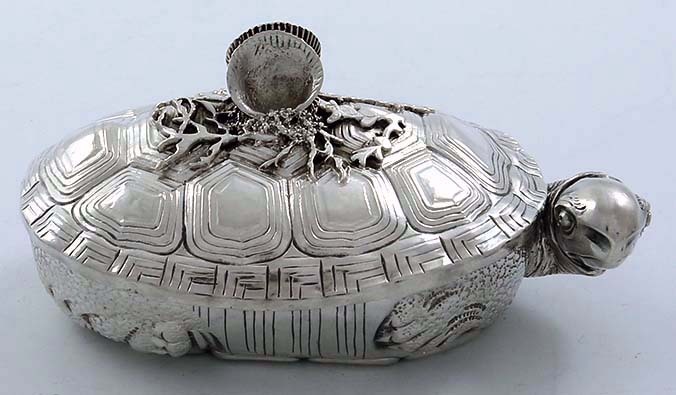 The turtle heads extend to the right of each tureen and the feet are chased into the bases. 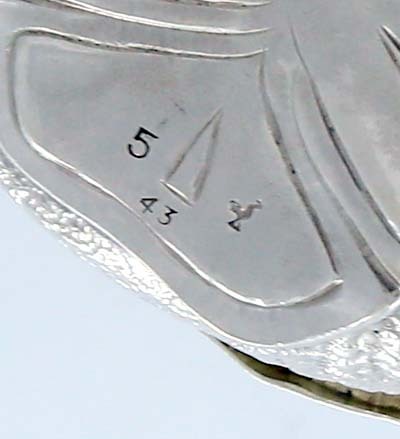 Length 5 1/8". 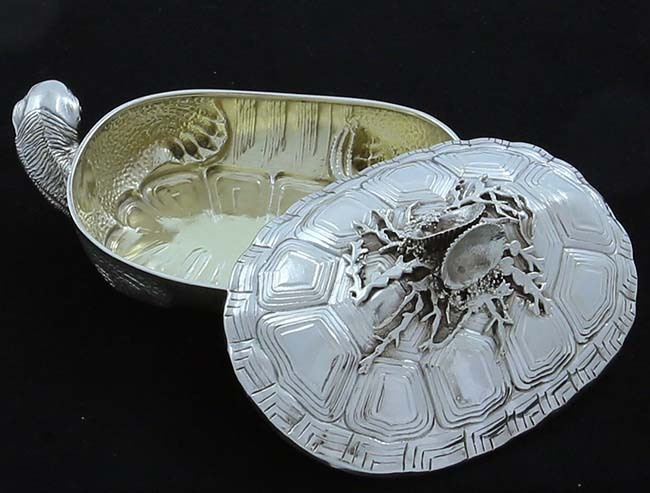 Combined weight approximately 57 troy oz.